This article explains the Account & Invoices page of your Gradwell Control Panel. This page will help you manage your billing, including allowing you to download invoices, review your payment methods, and pay bills online. To follow along with this guide you will need your Gradwell Control Panel login details. You can use this guide on how to log in for assistance. Once you're logged in you can access the Account & Invoices page from the main menu. You may be greeted with an alert at the top of the Account & Invoices page. These alerts can be generated when there is money owing on the account, if a payment mandate has failed and so on. A link will be available in the alert itself to help navigate you to the relevant page in which to address the issue. The estimated next bill section will display what we estimate your next bill to be. Split in to package charges and call and text charges based on your last 3 months activity. You can also add/manage your packages or view your calls from this section by selecting the relevant link. Below the estimated next bill section you will find a section to cover any credits that are to be applied to your account. 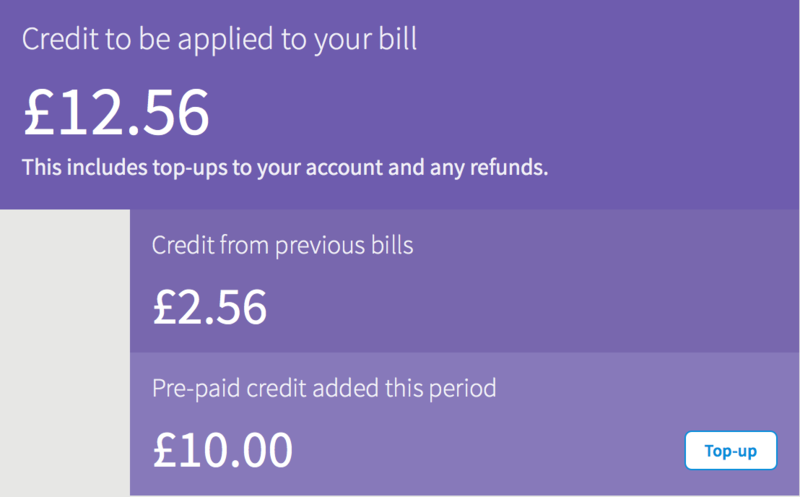 This will include any top ups you have made to your account as well as any credit owed from a previous bill. You also have a link where you can go through to top up the account with further credit if you wish. 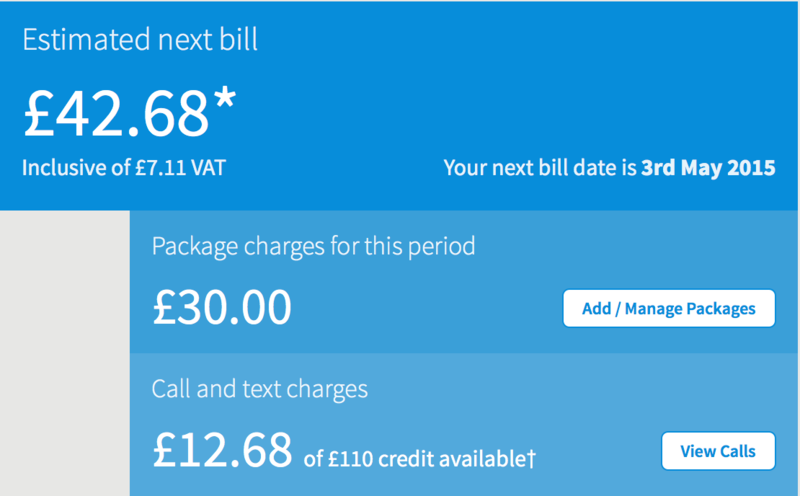 The estimated next payment section takes any expected credits from your estimated next bill and works out what we expect your next bill to be. Please be advised this is an estimate which should be taken as a guide and not your final bill for the month. 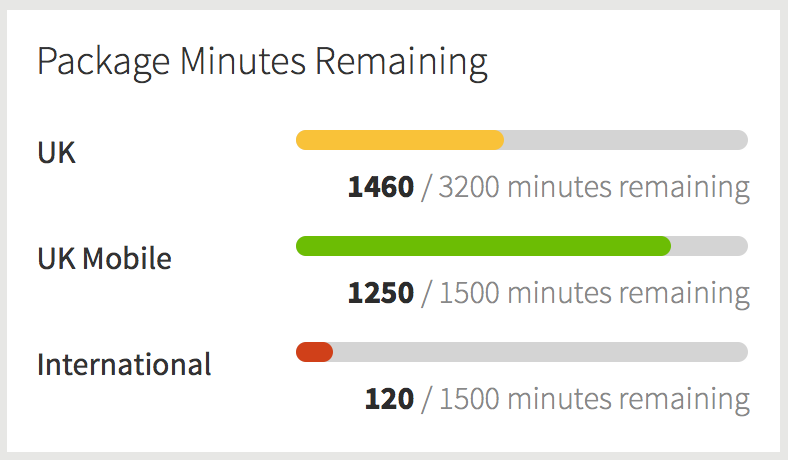 The package minutes remaining section gives you an overview of how many minutes you have remaining in any minutes bundle you hold with us. These are split in to UK, UK Mobile and International. Under past invoices you can see an over level view of the last few invoices raised on your account. You can then click the icon next to the invoice to view the full details of the invoice or check an older invoice. 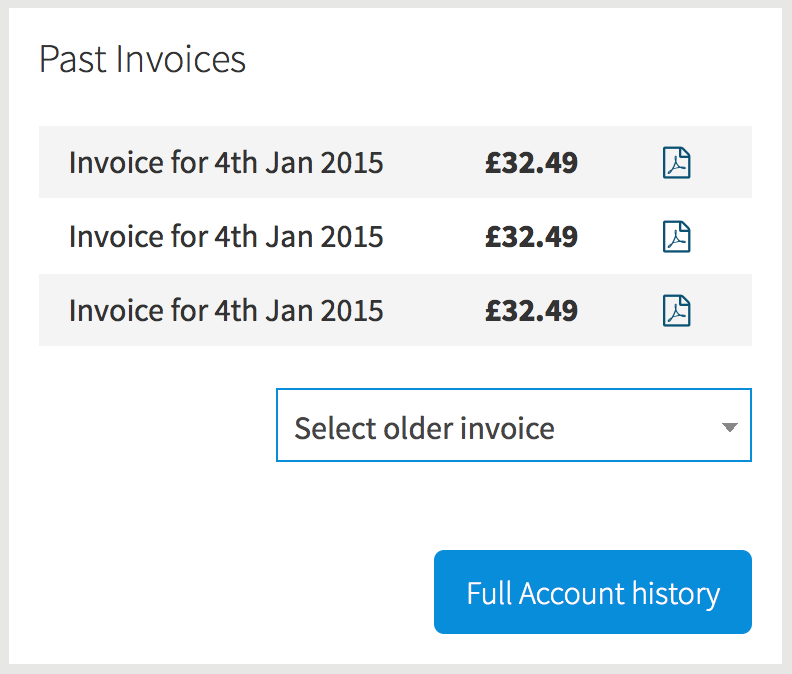 For a more detailed look at your invoices you can click the 'Full Account history' button. For more information on this page please click here. 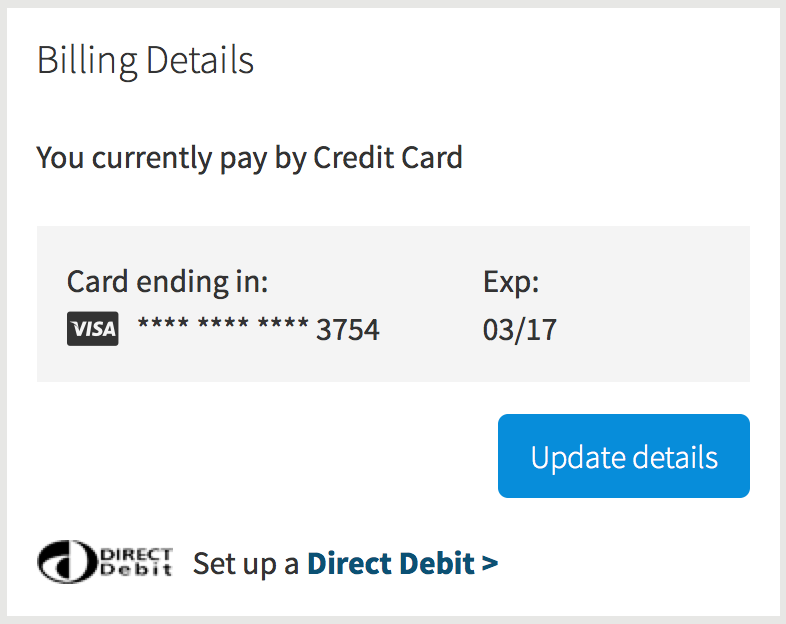 The billing details section shows what method of payment you currently have set up on the account. You can update these details or even set up a Direct Debit from this section by clicking the relevant button. Finally the spend alerts section is simply a link which will take you to the page where you can manage the spend alerts. For more information on this page, please visit the spend alert page here. How do I view my invoices and payments that I’ve made to Gradwell for phone services?